For many of us, bills are daunting. Life is expensive enough nowadays and power bills don’t make things any better. Well – Canstar Blue wants to help you save power, so that you’re not forking out an arm and a leg every time that time of the month comes around. It’s time you have the power, over power! Energy-efficiency is defined as the aim to minimise the amount of energy used by incorporating certain actions into your lives. While it may seem like a concept that is unattainable for your household, you’d be surprised at how easy the steps are and how much of a difference they can make. Therefore, we’ve gathered together life-changing hacks that are attainable for the most part, along with some that require larger changes but give bigger results. There are many steps you can take to become more energy-efficient and they don’t have to drain all your energy. Implementing these simple steps into your daily life will, however, be better for the pocket so you can spend money where it’s more desired. That new car, new dress or dream holiday – whatever it may be, we can assure you, you’ll be thanking us later! Led light bulbs are a cheaper light bulb to run and we therefore recommend opting for these in your journey to cheap power. With a typical life time of up to 50,000 hours, LED light bulbs usually last an extensive 50 times the lifetime of standard incandescent light bulb. Putting this into perspective, if you were to have a LED light bulb switched on for 12 hours every day, that bulb should last more than 11 years! We found LED light bulbs as cheap as $3 for a 9W bulb, while the incandescent light bulb price for the equivalent wattage of 45W also started at about $3 per bulb. Therefore, it could cost you $150 (in today’s current dollar value) to purchase incandescent light bulbs over a span of 11 years, as opposed to the cost of only $3 to purchase an LED light bulb which would last the same period of time. In terms of power usage, LED light bulbs are also cheaper to use. For five hours of power, one LED light bulb uses 10 Watts of power, while an incandescent light bulb will use a hefty 60 Watts of power. So, you can certainly tell why we advise you to opt for LED light bulbs if you’re trying to save power! Heaters are essentially an investment, as the heaters that require a greater upfront cost will likely cost you less in the long run. Another way of putting it, the cheapest heater to buy isn’t the cheapest heater to run. So, in order to save money on heating, we’d advise to first look at which heater to purchase. While electric heaters are cheap to buy, we advise to go for an alternative form of heating as electric heaters can be pricey when it comes to power usage. Heat pumps are cheaper to run than electric heaters. 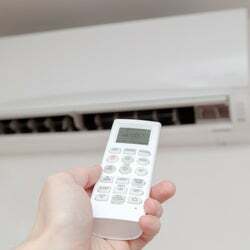 According to energywise.govt.nz, using a 3-star energy rated heat pump, six hours a day for five months – with a heat output of 6 kWs – would cost you $249.29 in power. And, a 6-star energy rated heat pump would cost even less, at $178.06. Whereas, if you were to run a 2400W electric heater for the same amount of time, it would cost you approximately $456.25. Keep in mind, heat pumps usually generate more heat too, as they are about three times more efficient than electric heaters. Therefore, we recommend installing a heat pump if you are planning to reside in your home for a long period of time. And if you own your own house, it would probably be worth it, even if you’re planning on moving in future, as a heat pump could certainly increase the value of your home. 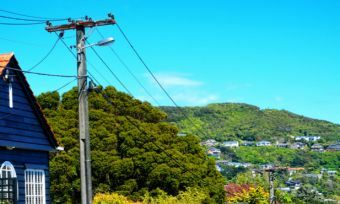 New Zealand electricity provider, Electric Kiwi, offers a free hour of power, so you’d be silly not to make use of this if you’re already with this power company! Electric Kiwi allows you to actually choose the hour in which you will get free power. Due to this, the best way to be energy-efficient is to analyse your power usage and determine which hour you tend to use more power. While it may first seem logical to set your free hour of power in the evening when lights and heaters, amongst other things, are switched on, this may not be the case. For instance, if your hot water cylinder turns on at two in the afternoon, it may create a huge spike in your power usage at this time of the day. Instead, you can see real-life depictions of your power usage through your Electric Kiwi account, by scrolling to the “Analyse your usage between” section. Alter the time frame to a longer period so you can calculate the average time of the day where your power usage peaks and simply set your free hour of power at the time of the day where you use the most electricity. Boom, money saved. 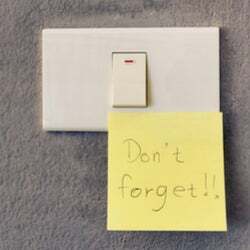 Think of how many times you’ve left a room and forgotten to turn the lights off. 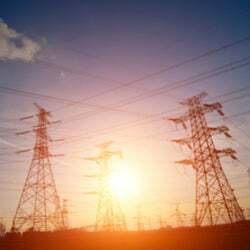 This adds up over time and before you know it, your power bills are astronomical! One way to prevent wasting power are motion sensor lights, which are essentially lights that switch on after sensing movement. Then, after 8 to 12 minutes of no movement, the lights will switch off. So, instead of worrying about having left the light on when you’re at work, the motion sensor lights are here to save the day, and quite literally, the power. 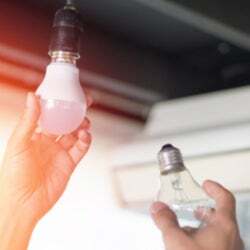 According to Meridian Energy, motion sensor lights are easy to install, save energy, maximise the lives of light bulbs, and could save you approximately $200 a year. Therefore, if you own your home, we’d definitely recommend installing motion sensor lights to see you on your way to becoming energy efficient! Turn appliances off when not in use – Kiwi Families say lighting and general appliances contribute to approximately 30% of a household’s energy use. As a result, turning off appliances when you’re not using them could save a significant amount of energy and money. As well as this, make sure you turn off chargers when your technical items are fully charged. Shut the blinds or curtains – the wise-old-trick of shutting the curtains still works a wonder. During the winter, we’d recommend airing the rooms out by leaving the windows slightly open, with the curtains or blinds also drawn, to ensure the sun beams through. This works as a natural heater. Then, when the sun starts to go down in the evening, shut the windows and curtains or blinds to trap the heat in. You’d be surprised at how much of a difference it makes. As a result, you won’t need to use as much heating, saving money on power! And, for summer, we’ll let you in on a little secret, tried and tested by us – here at Canstar Blue. We’ve found leaving the windows open during the day but shutting the blinds and curtains, blocks the sun and therefore the heat out. However, do make sure the blinds and curtains aren’t entirely shut as you’ll need the air out through the small gap so to prevent dampness and resulting mould. Pro tip – cuddling up to a hot water bottle in bed, during the winter, is a common comfort but it doesn’t have to be season-specific. In the summer, freeze the hot water bottle instead, and place it inside a pillow case to stop the dampness getting to you. Likewise, icepacks, sometimes called freeze packs, really help cool you down, without the costly power bill! 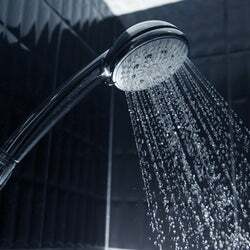 Install a shower flow restrictor – the rule of thumb is that if your shower fills a 10-litre bucket in under a minute then you should install a restrictor, as you are using more water than necessary. This will see you save money on your hot water bills. Tighten hinges – did you know, simply tightening hinges, latches and catches can keep your house significantly warmer? This one is for the older New Zealand houses, prone to draughts. Creating less space around the door frame can stop the draught coming through. Therefore, a draught stopper can also help in this area! The universal rule of thumb to saving money is to shop around. However, shopping around isn’t the easiest of tasks and can be time-consuming. Fortunately, Canstar Blue produces an annual review of power companies to find out which are best-rated on factors like customer service and value for money. In our latest review, Powershop came out on top, scoring five stars for overall customer satisfaction, as well as various other factors. However, the only power company that was awarded five stars for value for money was Electric Kiwi. Therefore, if you’re more comfortable opting for a power company that other Kiwis see optimum value for money in, then Powershop and Electric Kiwi are clearly crowd favourites. Now you’ve had a rundown on tips to become more energy-efficient, you’re bound to see savings in your power bill. If you implement these tips into your life, that is! According to Credit Simple’s CEO, David Scognamiglio, Kiwis spend more on heating than people in Norway. He says it doesn’t seem fair when it snows in Norway for three months of the year. And, we agree. Power in New Zealand can take out a large chunk of your monthly bills, but as you now know, there are measures you can take, to help ensure your money isn’t wasted in places it doesn’t actually need to be put.